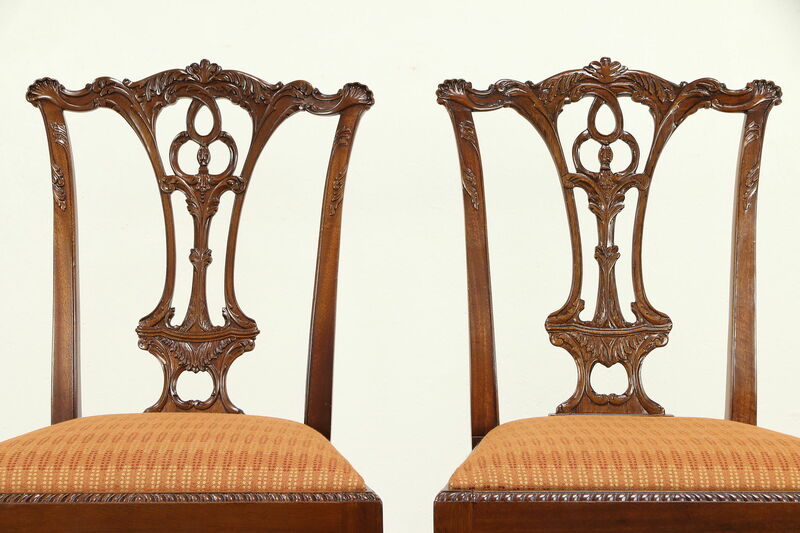 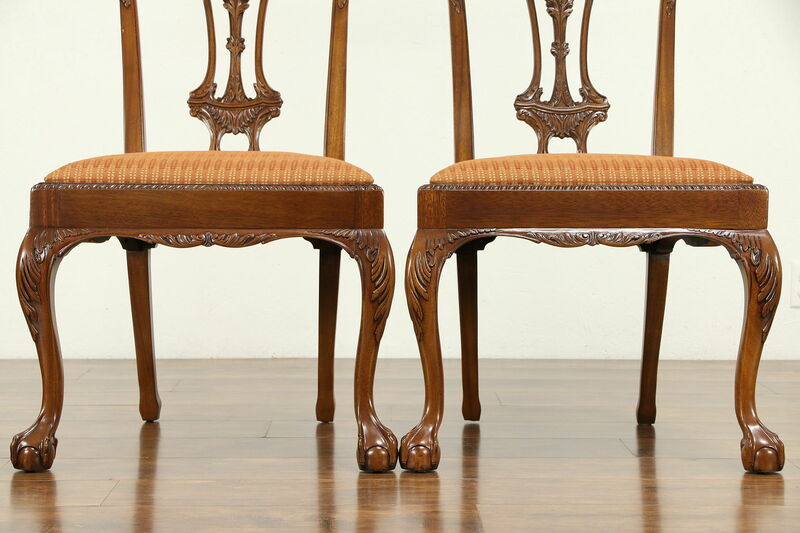 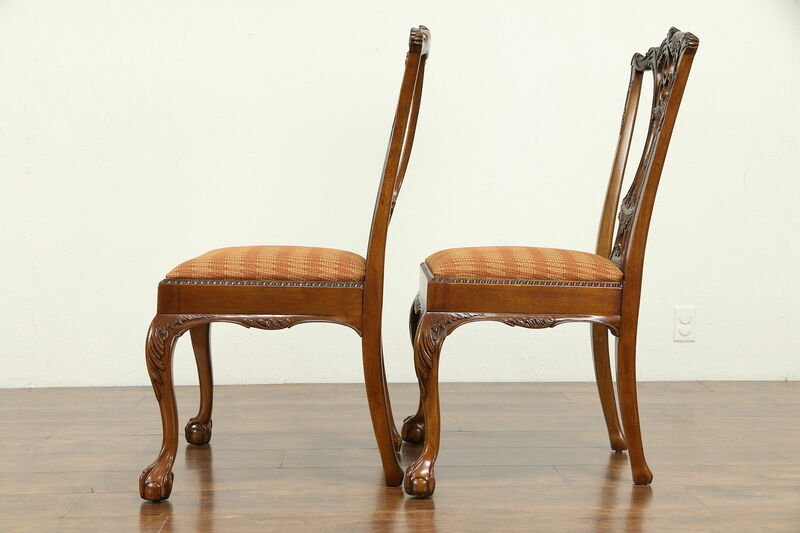 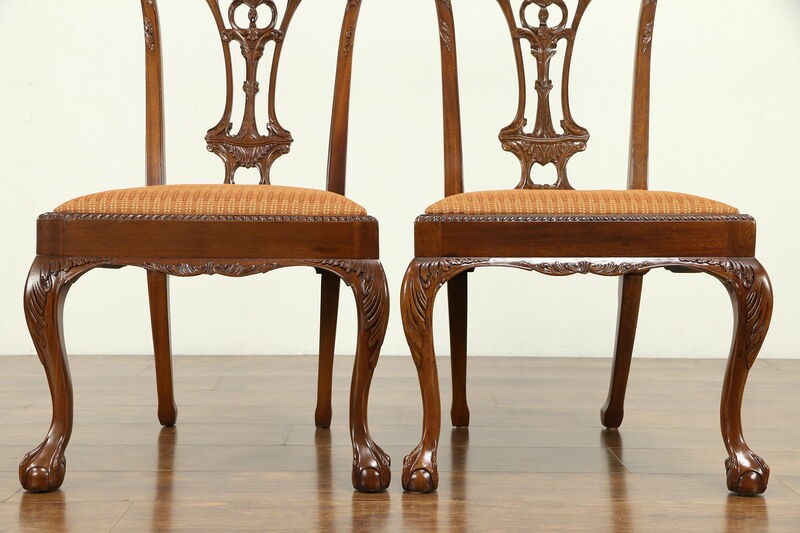 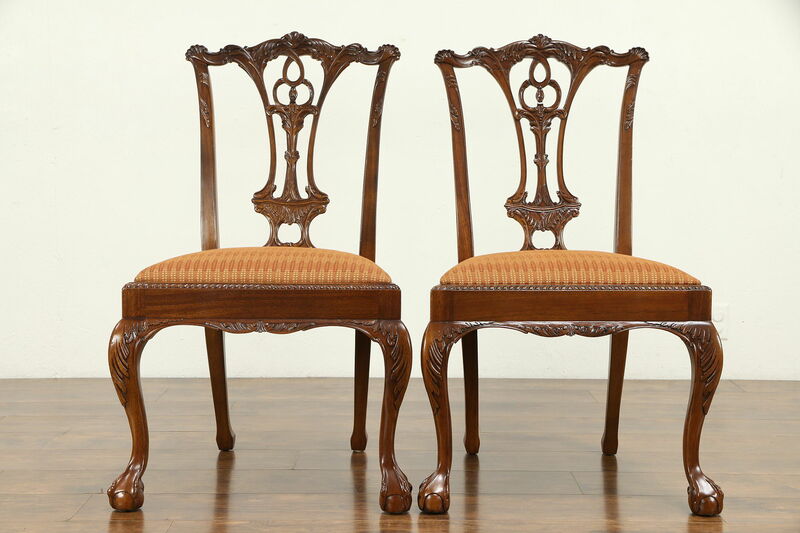 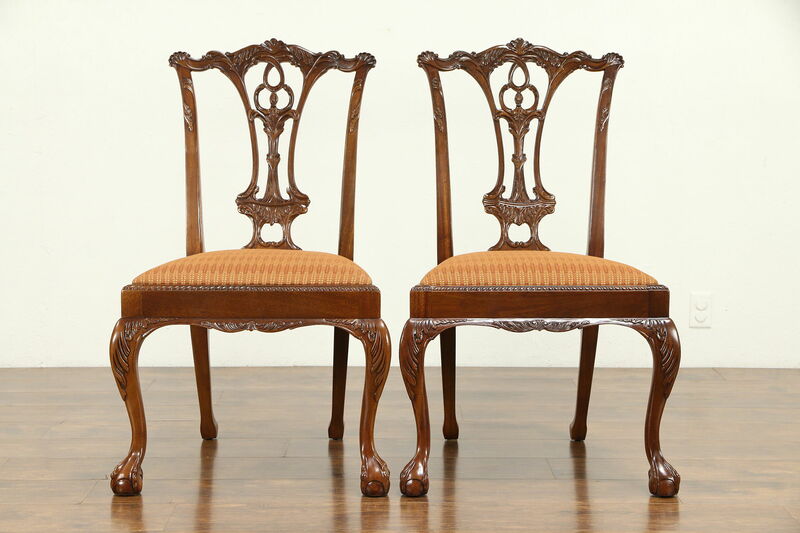 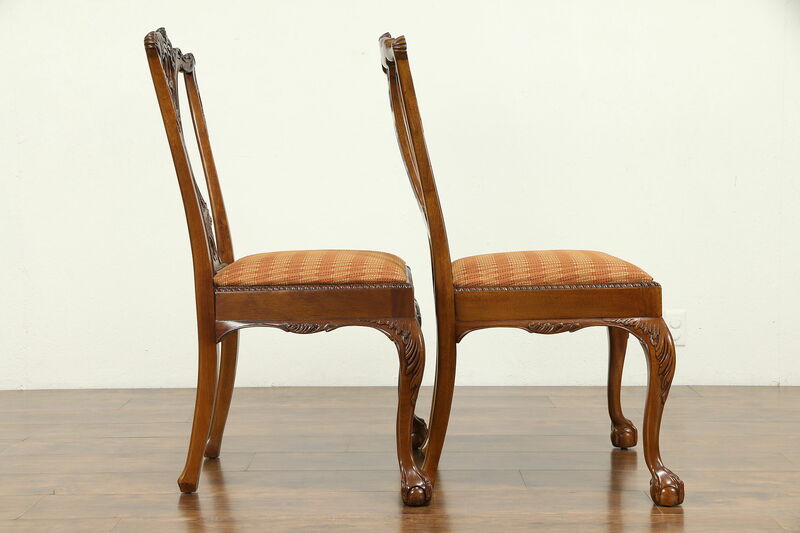 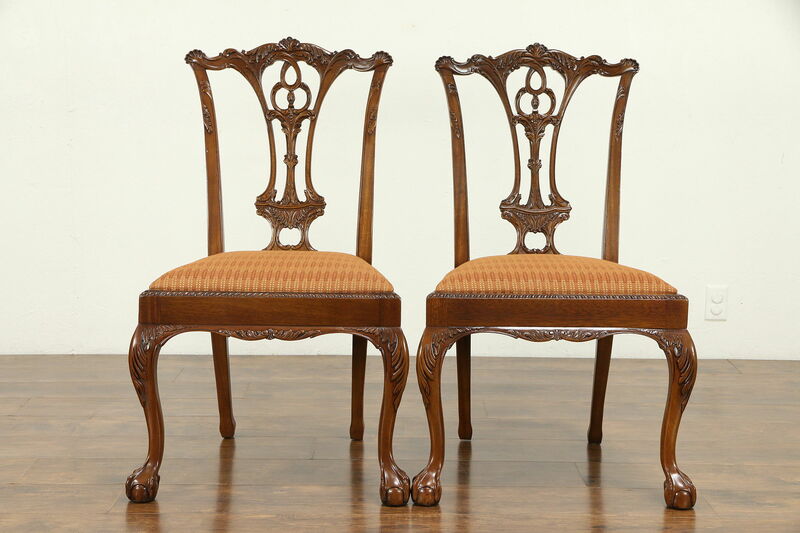 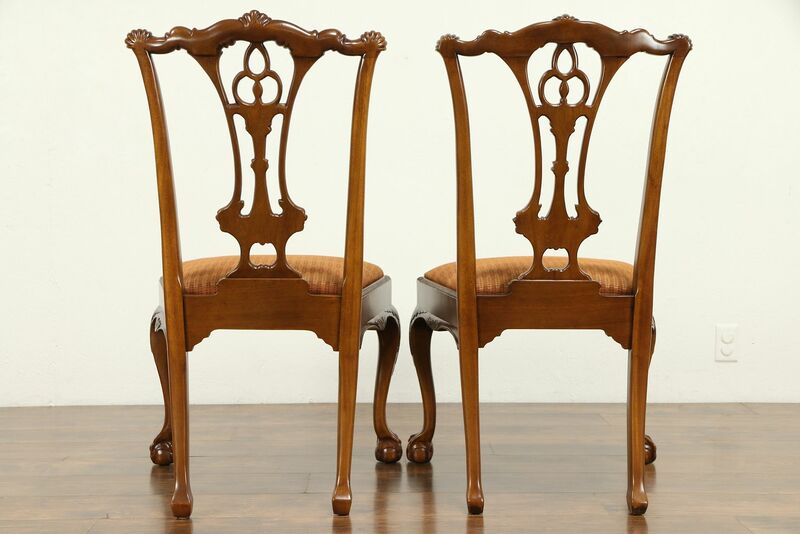 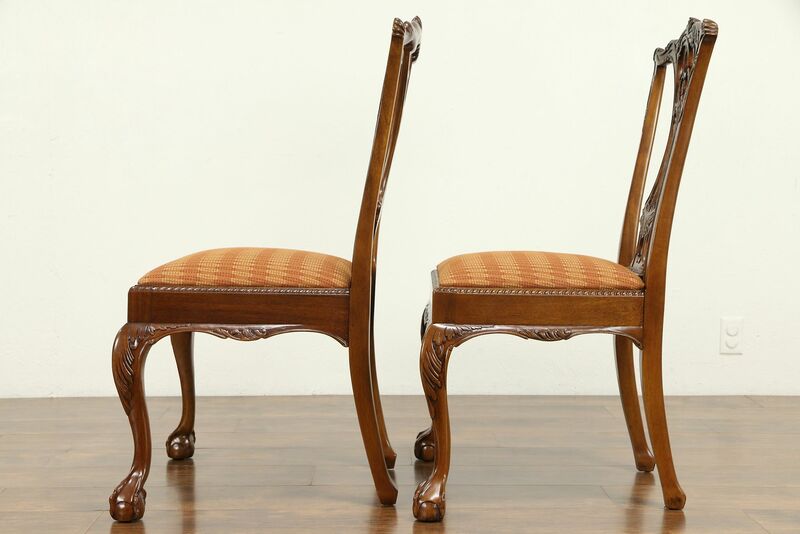 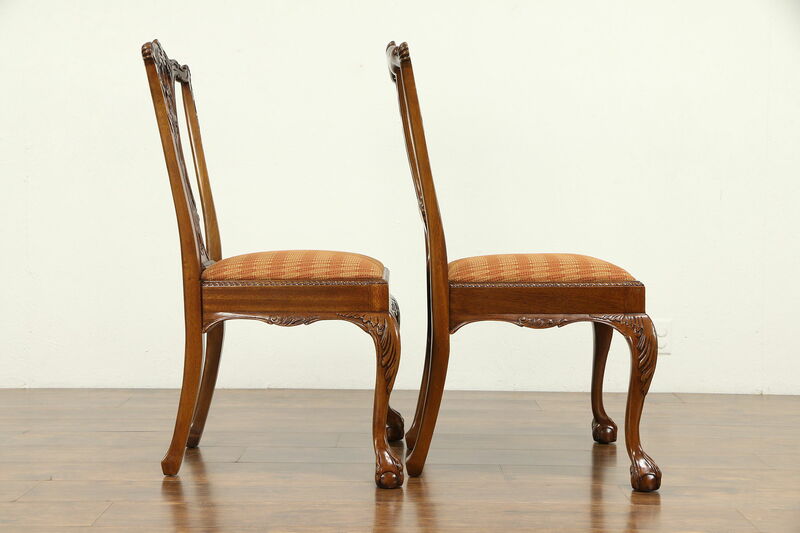 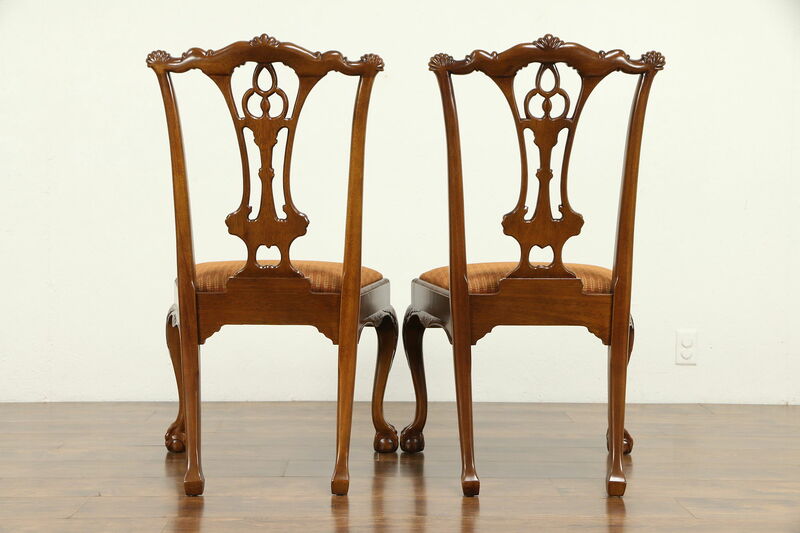 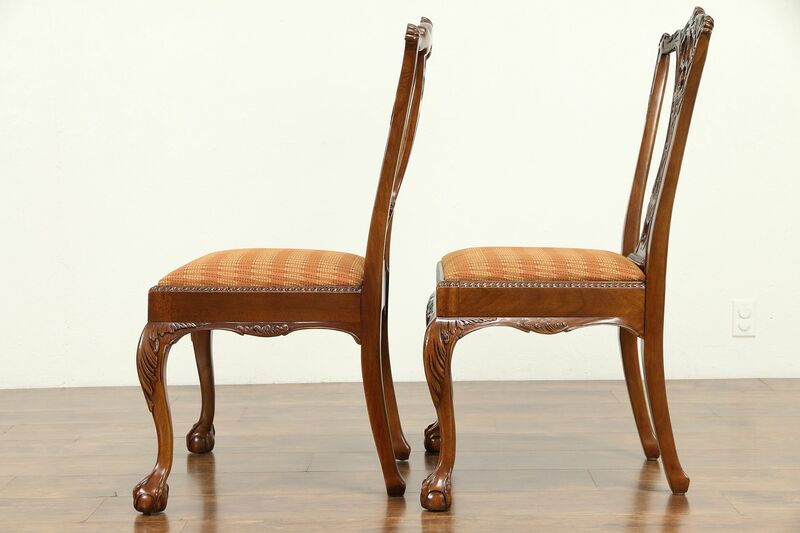 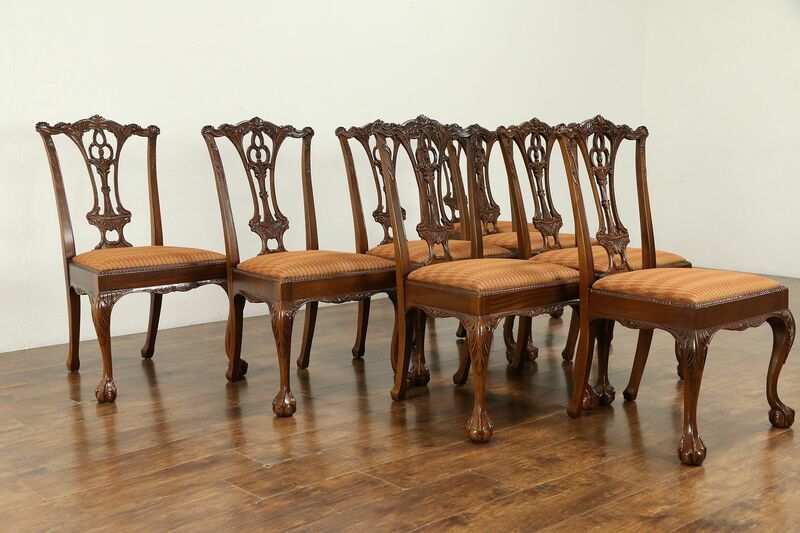 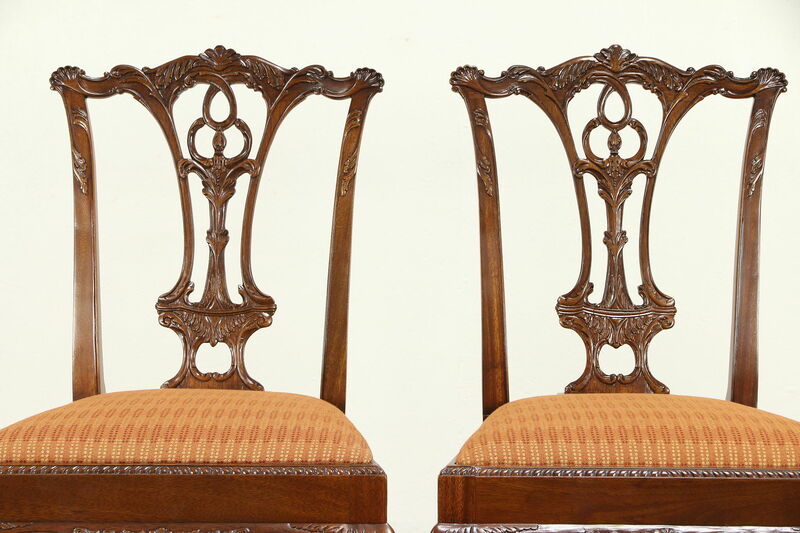 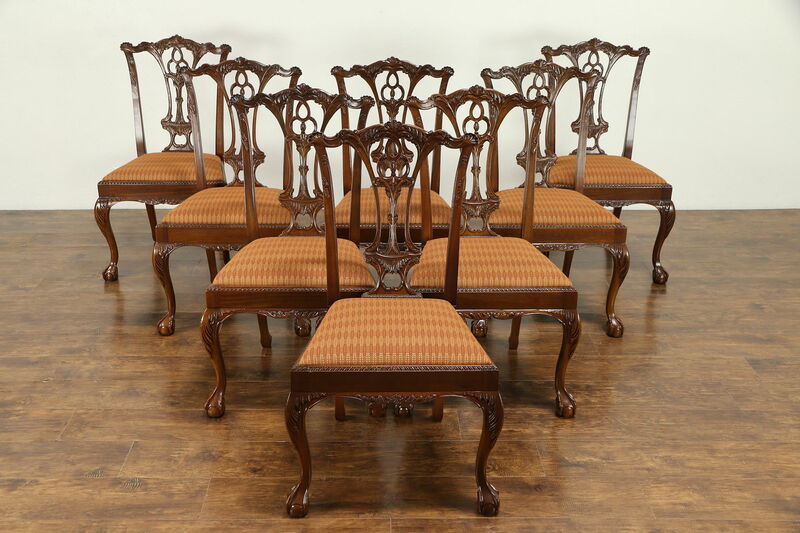 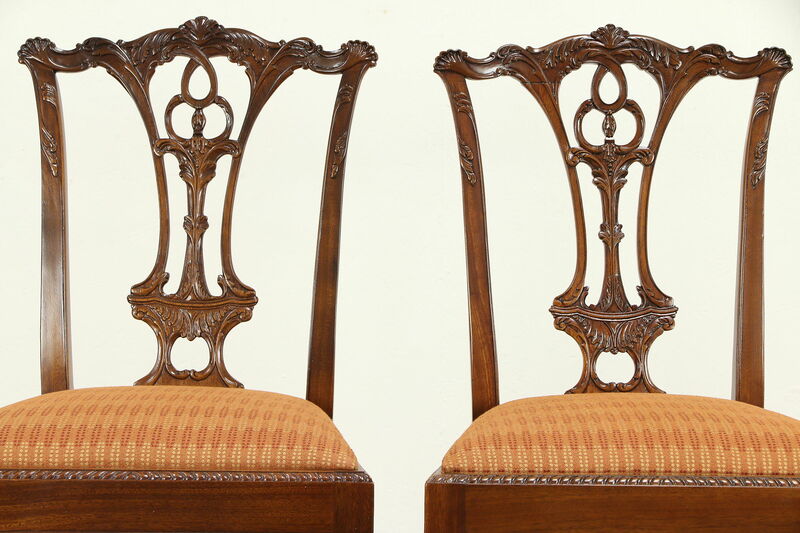 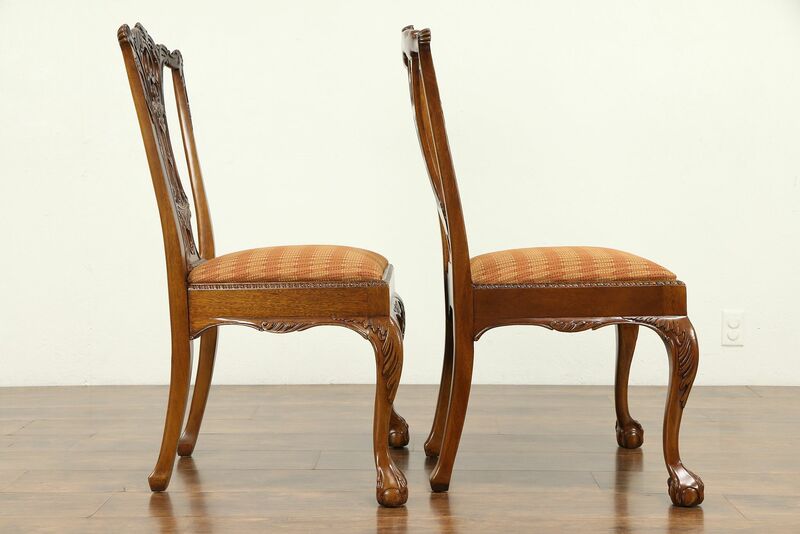 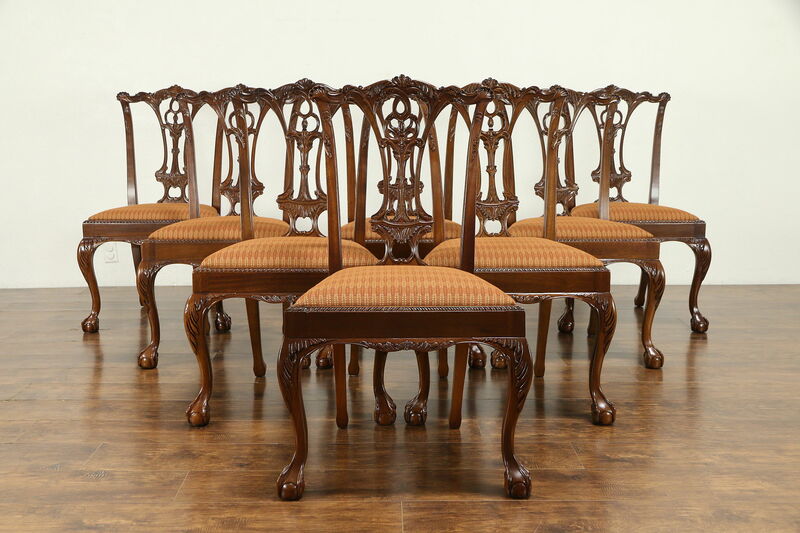 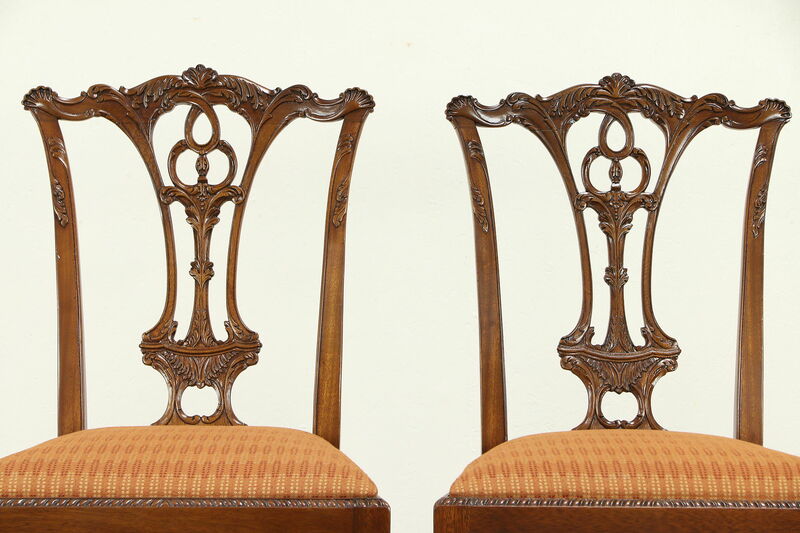 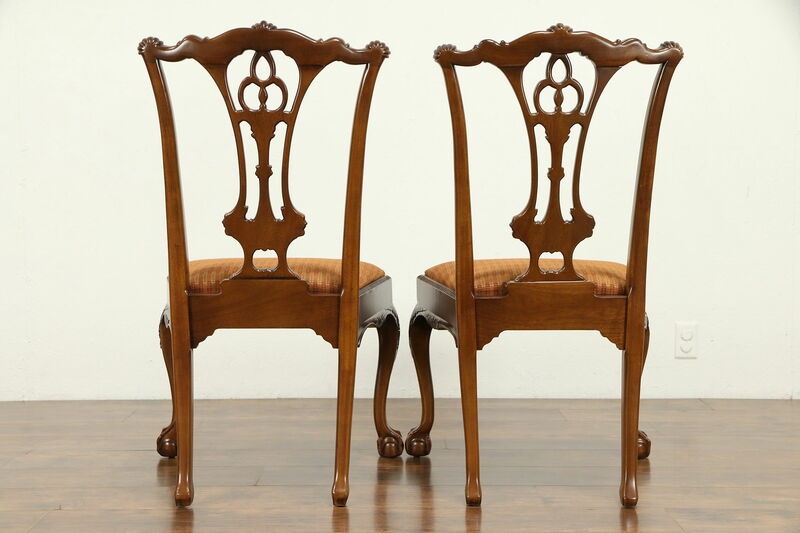 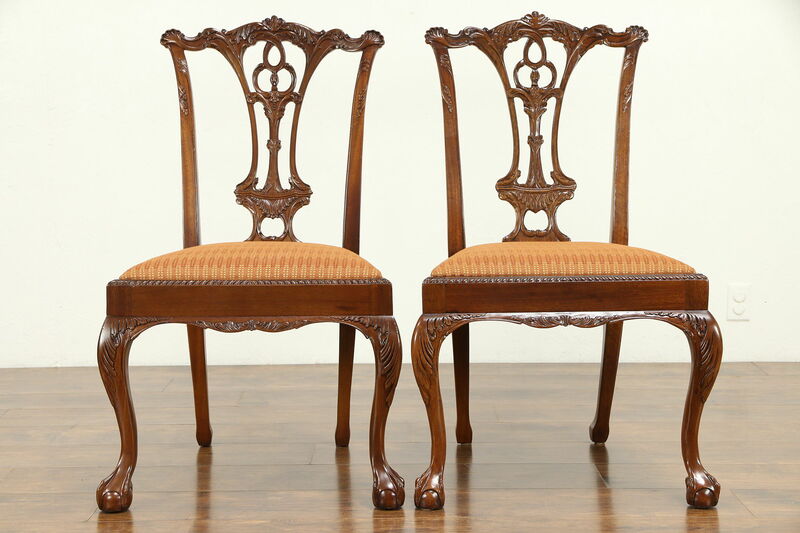 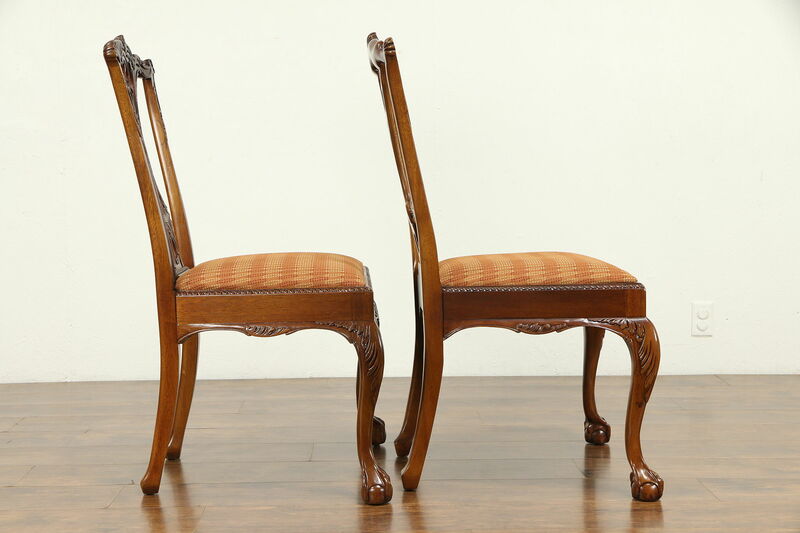 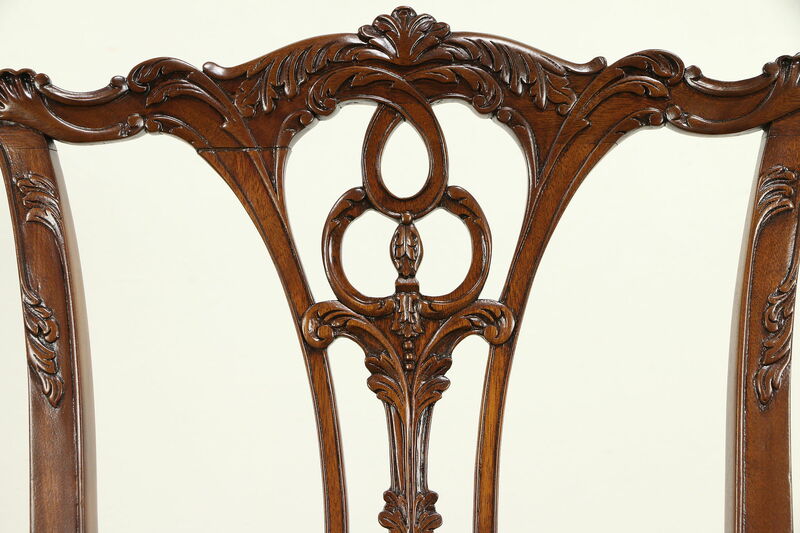 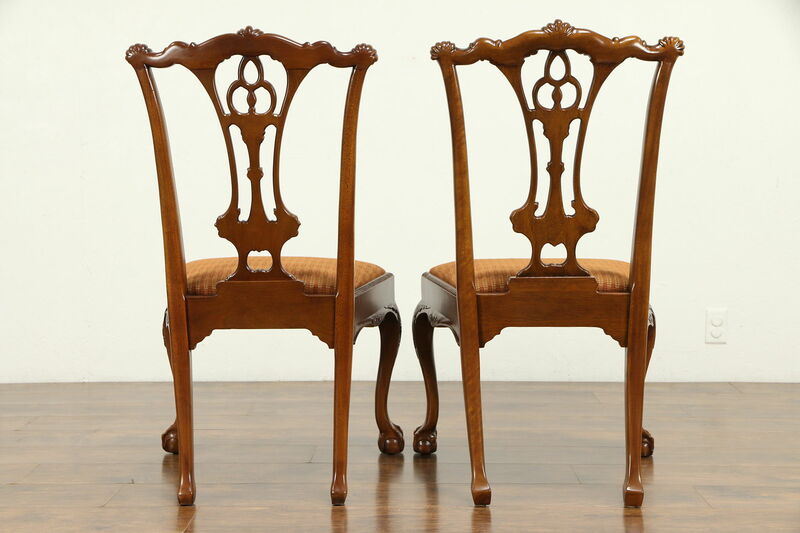 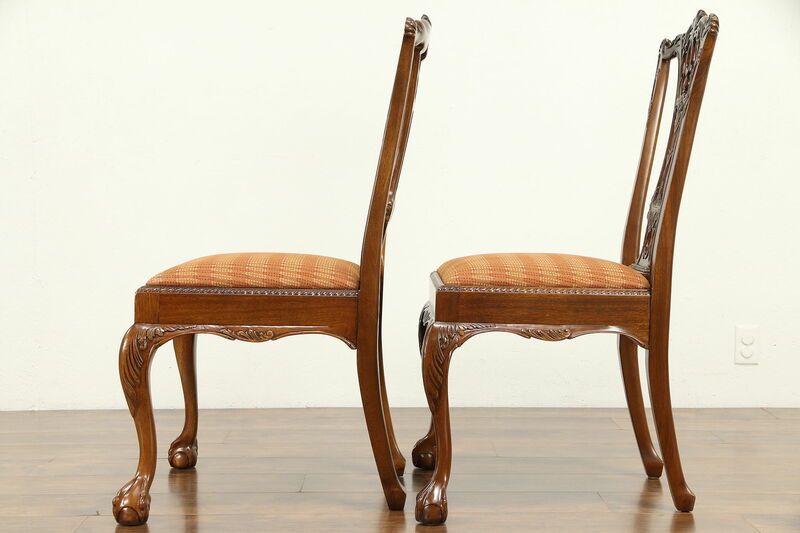 A set of eight solid mahogany dining chairs were richly carved in the Georgian or Chippendale manner about 20 years ago, and are signed, "Made in the Philippines." 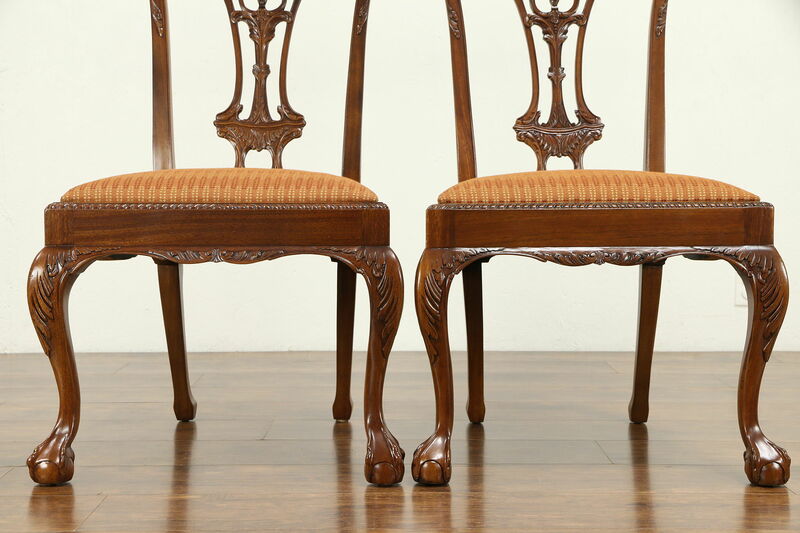 Soft seats have upholstery in very fine condition, and are easy to change, legs have classic ball and claw feet. 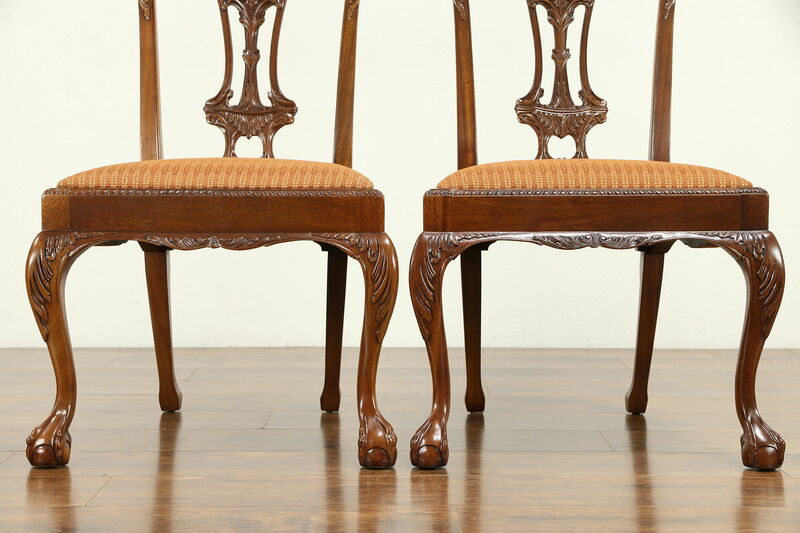 The original satiny finish is in very fine condition as well on this vintage furniture. 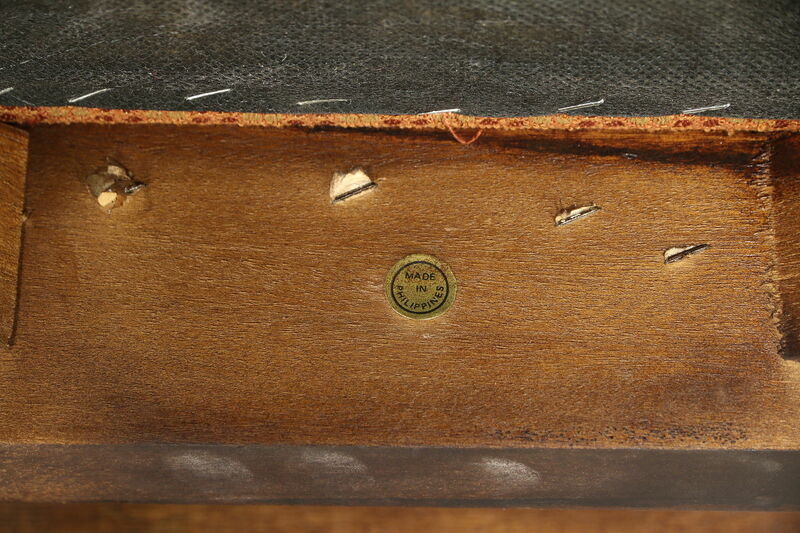 Frames are tight and strong. 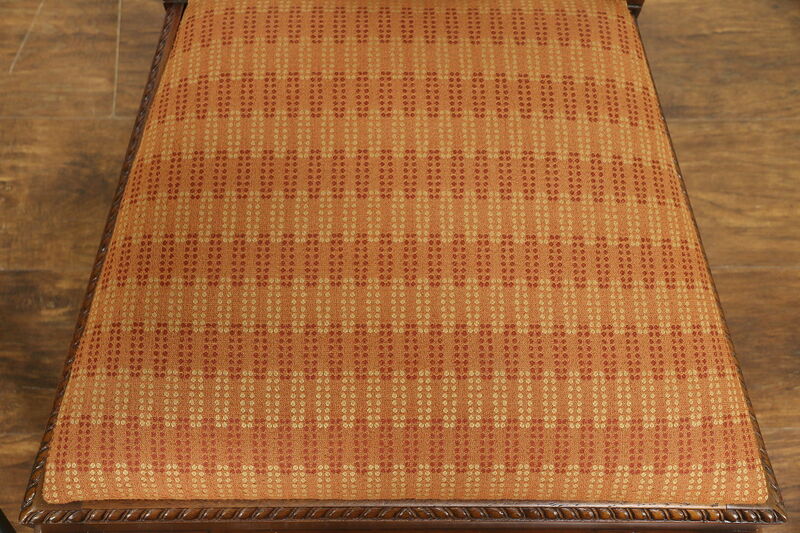 Measurements are 24" wide, 25" deep, 40" tall and wide seats are 20" high.